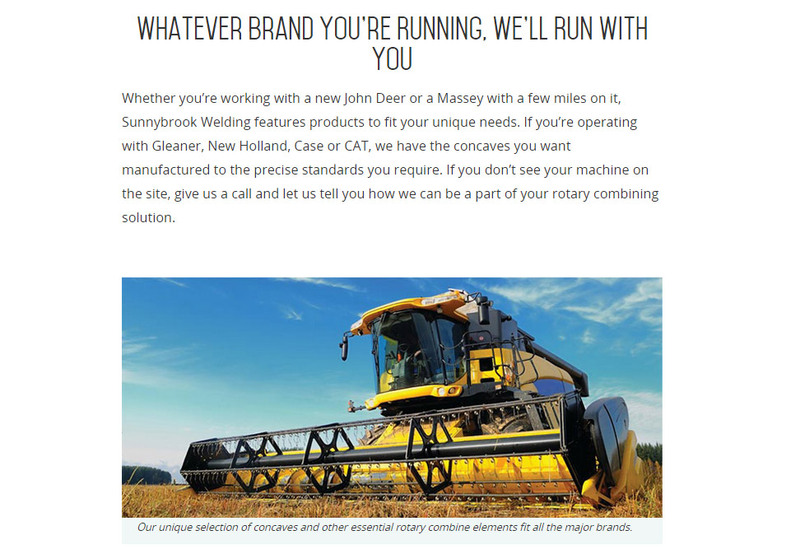 Sunnybrook Welding is a farm implement dealer in tiny Sunnybrook, Alberta that needed a better way to manage its global footprint in agricultural component technology. 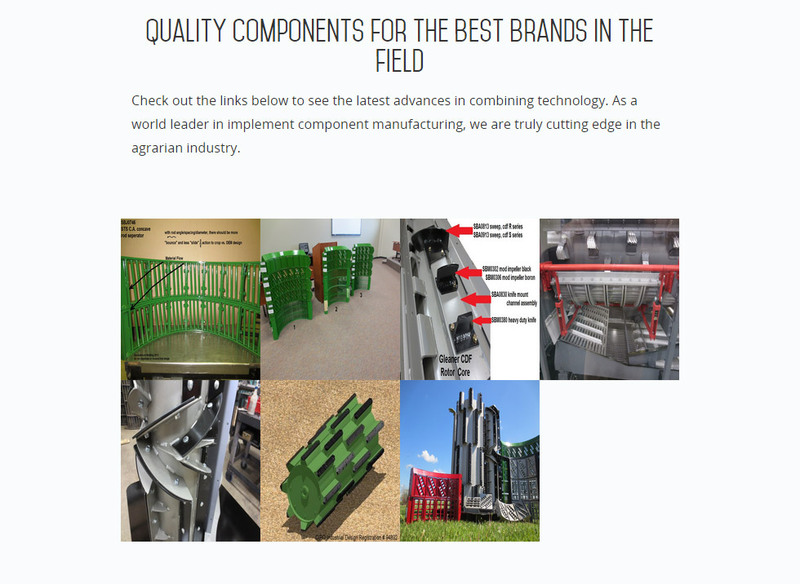 They contracted INM to redesign their aged website and widen the net they cast in their quest for new customers in their field of combine component hardening and upgrades. By using such well-recognized strategies as 'above-the-fold' lead capture, a blog system powered by INM's exclusive Sitebuilder Tools and an eye-catching, every-page rotator, the makeover was magnificent. 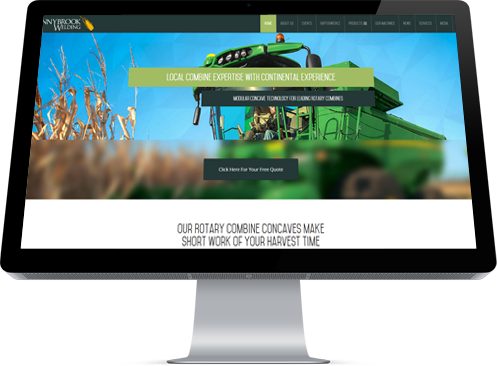 Company officials were very pleased with the new features like their enhanced product pages and media centre, as well as the opportunity to grow with their events page. Like all other sites we develop, Sunnybrook's new website features great search ranking maximization (SEO) as a foundational facet of every page.